Senator Elizabeth Warren took a swipe at Washington lobbyists she said are trying to cash in on last week's election results. "At this very minute, lobbyists and lawyers are lining up by the thousands to push for new laws - laws that will help their rich and powerful clients get richer and more powerful," she wrote this weekend in an op-ed published by The Washington Post. "Before leaders in Congress and the president get caught up in proving they can pass some new laws, everyone should take a skeptical look at whom those new laws will serve." The Massachusetts Democrat sounded the cynical tones after a midterm wave left her party in the minority on Capitol Hill. Republicans wrestled control of the Senate from the Democrats and gained even more ground in the House. Of course, she, too, has a political agenda. 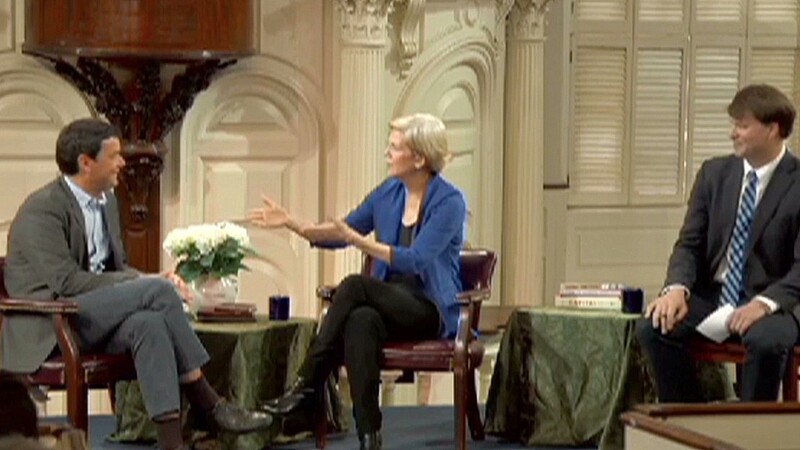 The priorities Warren laid out are what she has campaigned on before: a closer government eye on Wall Street, student loan debt relief, a higher minimum wage and the end of "tax laws riddled with loopholes that favor giant corporations." Warren wasn't on the ballot this year, but could be next cycle. Her name has been tossed around as a potential White House contender in 2016.